From the Council of Trent to Benedict XVI's Motu Proprio a new generation of Catholics is discovering the beauty, reverence, appropriateness, and efficacy of the Tridentine Mass. The Traditional Latin Mass, as the saying goes, is "the Mass the martyrs died for." It is also the Mass the faithful lived for and which gave life to them and to the Church itself. 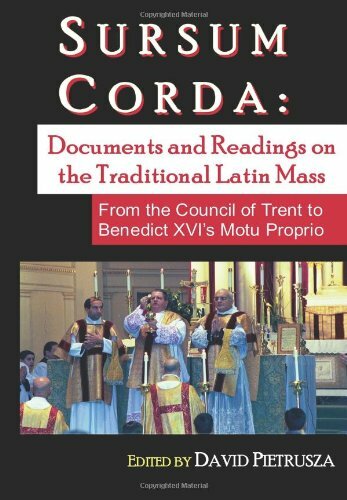 This small volume is designed to humbly guide you in an appreciation of the Traditional Latin Mass' beauties, coherence, logic, aesthetics, glories, and graces. If you have any questions about this product by Brand: CreateSpace Independent Publishing Platform, contact us by completing and submitting the form below. If you are looking for a specif part number, please include it with your message.